Two practices were schedule for Friday, but the second practice was canceled due to rain in the area. Getting a solid starting spot, Logano was not a fan of the new format just initiated after qualifying debacles nearly every week. "I think here it is not really a necessary thing because cars wanted to go out early and it doesn't allow teams to cool off and go back out in the same round to improve their time," Logano said. "I think you actually kind of lose a little bit of the drama of a car going back out and can that car knock the car that is on the bubble out." It marks Harvick's 27th career pole and his third at Richmond. It is also the second pole of the season for the No. 4 Ford, which recorded the top qualifying time at Las Vegas for the Pennzoil 400 during the first weekend of March. While Harvick has not finished higher than fourth in a race this season, he recorded six consecutive top-10 placements entering last week. 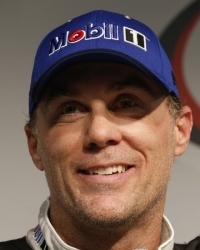 The Stewart Haas Racing driver's last win came at the AAA Texas 500 in November 2018. Defending Toyota Owners 400 champion Kyle Busch will be able to put the pressure on Harvick and the rest of the field right away as he starts in fifth. Last year, he had to work his way up from a 32nd-place start to take home the checkered flag. Busch sits atop NASCAR's points standings, owning a 27-point lead over Joe Gibbs Racing teammate Denny Hamlin, who will start in 18th. Busch has won three of the last six races, including last week's Food City 500.